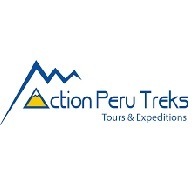 Average rating of 5.0 for all Action Peru Treks trips. The Ancascocha Trail is one of the lesser known treks in Peru. Named by National Geographic as one of 20 dream hikes on their World Best Hikes list. Climb to the stunning Huayna Picchu or Machu Picchu Mountain"
The Ancascocha trail is listed as one of National Geographic’s 20 dream hikes on their World Best Hikes list.